Andrew, Brother and Al Janssen. Light Force: A Stirring Account of the Church Caught in the Middle East Crossfire. Grand Rapids, MI: Revell, 2004. Andrew, Brother and Al Janssen. 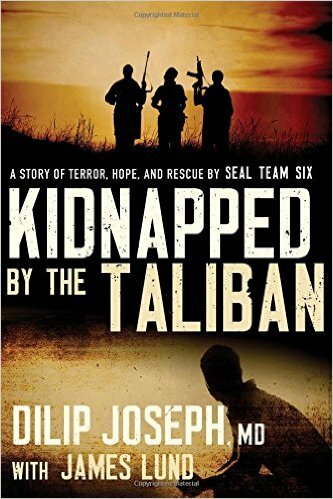 The Secret Believers: What Happens When Muslims Believe in Christ. Grand Rapids, MI: Revell, 2007. Dehqani-Tafti, H. B. Design of My World: Pilgrimage to Christianity. New York: The Seabury Press, 1982. Doyle, Tom. 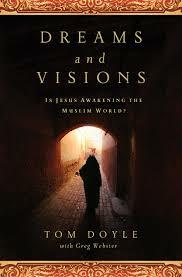 Dreams and Visions: Is Jesus Awakening the Muslim World? Nashville, TN: Thomas Nelson, 2012. Gaudeul, Jean-Marie. Called from Islam to Christ: Why Muslims Become Christian. Crowborough, England: Monarch, 1999. Goode, Reema. 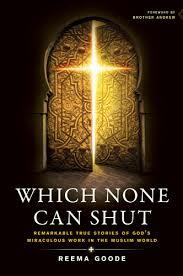 Which None Can Shut. Carol Stream, IL: Tyndale, 2010. Haile, Ahmed Ali. Teatime in Mogadishu: My Journey as a Peace Ambassador in the World of Islam. Waterloo, Ont. : Herald Press, 2011. Hirji-Walji, Hassanain. Bittersweet Freedom. Eden Prairie, MN: Bind-A-Book, Inc., 1993. Irwin, Russ. The Peanut Butter Man. Mustang, OK: Tate Publishing, 2010. Malick, Faisal. Here Comes Ishmael: The Kairos Moment for the Muslim People. Belleville, Ont. : Essence Publishing, 2005. Masih, Ali Abdel. Out of Darkness into Light: True Life Stories of Muslims Coming to Jesus Through Visions, Dreams, and Miracles. Cottage Grove, MN: MGB Printing Services, 2011. Rasooli, Jay M. and Cady H. Allen. Dr. Sa’eed of Iran: Kurdish Physician to Princes and Peasants, Nobles and Nomads. Pasadena, CA: William Carey Library, 1983. Selby, Pauline. Persian Springs: Four Iranians See Jesus. Surrey, England: Highland Books, 2000. Sheikh, Bilquis. I Dared to Call Him Father: The Miraculous Story of a Muslim Woman’s Encounter with God. Waco, TX: Chosen Books, 1978. Yousef, Mosab Hassan. Son of Hamas: A Gripping Account of Terror, Betrayal, Political Intrigue, and Unthinkable Choices. Carol Stream, IL: Tyndale House Publishers, 2010.